Recently I took a chance on a Nikon R-10 on eBay. I love these cameras and the price seemed right . Camera arrived this week, looks to be in excellent shape , (physically/cosmetically I'd rate it "Near Mint - "like new" ) , motor sounds smooth, everything seems to work (I shot a test roll and will have that back in a week or two, which should reveal any problems, notably the light meter) However, I noticed on a few shots that the auto-exposure seemed to be "sticking" at times ... the needle didn't always move smoothly along the f-stop scale in the viewfinder as the light conditions changed. Sometimes I noticed when moving from bright sunlight to dimmer shade the needle would stick where it had been at f16 or f11 and then suddenly jump to f 5.6 or f4 after a few seconds pointing towards a more dimly lit area. Now the problem seems to be worse as I'm testing it when I don't have any film loaded in the camera , if I just depress the trigger slightly to activate the light meter it seems very sluggish when I move from dim light to bright light , back to dim light ... sometimes the needle moves smoothly as expected, sometimes it sticks and then jumps abruptly. :( I would like to get it looked at . Can anyone recommend a good repair service for the Nikon R-10 in North America , someone you've actually had repair your camera and would send your camera in to again ? (I have seen on his blog that Ignacio Benedeti Corzo highly recommends http://microdeltabalears.com/castellano.htm in Spain for service on Nikon R-10 , but I'd rather not ship it to Spain if I can avoid the international shipping costs , because it's an extra expense on top of whatever it's going to cost to have the camera serviced .) I have read in some previous discussions about the R10 that sometimes the needle can get stuck in old hardened lube, which seems like what may be happening here (?) , except in my case the needle does move smoothly some of the time on auto-exposure , but not always. And I can set the f-stop easily with the manual exposure control knob , so the needle doesn't seem to be totally stuck , but is laggy on auto. I suppose I could get along fine with an otherwise functional Nikon R10 that is manual exposure only , but in the past I almost always used the auto-exposure with my Nikons (I've owned both an R-8 and R-10 before , one got dropped and broke , the other I sold , wish I had not ... ) and had excellent results from the auto-exposure. I would use the camera to spot meter (zoom in close , take a reading) and then lock it with the manual exposure/EE lock, but never became much of an expert at using an external light meter. Lazy , I guess. I realize it's a separate topic to discuss using a hand-held meter to set the exposure manually on a Super-8 camera, but if any of you Nikon R-8 or R-10 owners have any tips , I'd appreciate it. I know the fully opened shutter angle is 160° so if things were simple (which they are apparently not) I'd be able to set the ASA on the hand held meter , then get a reading for the correct f-stop setting at 1/40 sec (at 18 fps) or 1/54 (at 24 fps) and that would be that ... except everything I have ever read says that the reflex viewfinder will steal light , but it always seems very vague to me ... some people say the viewfinder light loss amounts to "about 1/3rd of a stop" others say "about 1/2 a stop". How does anyone really know for sure ? And supposedly all the older hand held meters (I have a Gossen Scout 2 and a Sekonic L-158) will assume that the camera has a shutter angle of 180° , so I have to adjust for that if using the "Cine Scale" on these meters. And yes, I realize the only way to really work it out for sure is to shoot a test roll with bracketed exposures , but do any of you Nikon R-8/R-10 owners have any experience to share on using a hand held meter with the Nikon R10/R8 ? With the exposure latitude of the Kodak S-8 neg. stocks if I'm off by 1/3rd of a stop or 1/2 a stop (by relying on the Gossen or Sekonic meter reading) will that really matter too much ? Although I understand that with neg. stock slight over-exposure is better dealt with than under-exposure. Hello everyone, I've been lurking on these forums for a couple of years now, but this is my first time posting. Usually whenever I've had questions I can find answers here, and I'd like to thank you all because I have learned so much from this community. I have some concerns about my Krasnogorsk-3 that I'd like to discuss. I've been interested in learning to shoot on film, and I managed to purchase one back in January for about $60 after shipping. For a simple camera to learn on, I thought the price was great. As far as I can tell it runs smoothly and is in pretty good condition, but of course I'm not quite experienced enough to make that call. There are two things that I've noticed might be issues for my camera though, and before I start a short personal project I plan on doing soon, I'd like to get everyone's insight on it. One problem is that the top loop former doesn't move when I push down the plunger. I can physically pull it up myself, but it doesn't open up the way the bottom loop former does. At first I wasn't that worried about this because I was thinking I'd remove these anyway, but after watching the disassembly and reassembly videos several times, I chickened out and will likely send it to a professional for that if need be. The second problem is something I noticed that seems different about mine compared to those I see in Youtube videos about loading the camera. In a couple of these videos, the rollers that you feed the film into are able to open up slightly, as can be seen in this video here at 1:22. When I tried that, they won't budge at all. Are these serious problems for my K-3? Will it still work despite these issues? I appreciate any insight you all may have. AATON XTR SER1352 As time goes by my Ground Glass is no longer centered in the frame it has slipped downward as I look into the eyepiece. Is there something I can do to adjust it "upward" I have also noticed that when the top line of the ground glass is in focus the bottom is a little out. Is there an easy way to adjust the ground glass back to factory setting without sending it away for service? I have a shoot this Tuesday and I'd like to fix it if possible Thanks in advance. 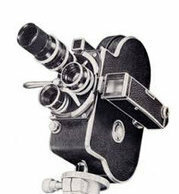 Does anyone out there know of someone in Toronto that has the ability to service a Bolex H16? I recently received an old Bolex to my great delight as a gift that I want to shoot on and I have the resources (stock, access to processing, ect.) to do it, but it seems that the camera needs a bit of care in order to get it running again. It winds, the motor runs, and film moves through it properly, the issue though is that it does not keep a constant speed and will slow down at the end of the wind or if it’s in the middle of a roll of film, move very slowly as though the motor is weak. I don’t know nearly enough about the inner workings of this piece of gear in order to consider opening it up and I think that most likely it needs to be cleaned and lubricated. I’m hoping to find someone in the city to do it because I don’t have the money to ship it off somewhere else and get it serviced. It’s also a non-reflex model so it is quite old and I don’t know the history behind it so I can only assume it’s been a very long time since it’s received proper care. Beaulieu R16 Power Grip repair? My Beaulieu R16 runs fine on external power. I just bought a newly-recelled 1,000 mA grip battery. It won't run on the grip battery. Checking the battery on the meter on the side of the R16, the needle only deflects half-way. I tested the battery with a multimeter. The outer ring shows about 8 volts, and the inner ring shows about 4 volts. Since the camera's meter shows half power, and one ring of the battery shows half power, I suspected that one of the wires in the Power Grip is bad. I switched to 'resistance' on the multimeter. Looking at the plug that plugs into the camera body, with the pins on the lower side (pins at 9 o'clock, 6 o'clock, and 3 o'clock), I checked each pin corresponding to a ring on the battery, and each pin on the plug. The 3 o'clock pin on the plug corresponds to the centre pin on the battery side. I get a reading of about 1.3 ohms. The 6 o'clock pin on the plug corresponds to the pin on the battery side closest to the centre pin; thus, it corresponds to the nominal 3.6v inner ring on the battery. I get a reading of about the same as the first reading. That leaves the 9 o'clock pin on the plug. I'm not getting a reading on that one, which corresponds to the 7.2v ring of the battery. Not being an electronically/electrically inclined person, and not having any idea of what I'm doing, it seems that when I use the battery on the Power Grip, the 7.2v power is not getting to the camera. The 3.6v is. Apparently I have a bad lead in the 3-pin XLR cord. Can this be fixed? If so, can it be fixed by me? If so, how? Paint for Fixture Touch Up? Hello all, This is a stupidly specific question, but I'm hoping some of the rental guys can chime in (help me, Guy Holt, you're my only hope). It recently came to my attention that all of my fixture heads are scratched to poop and I would love to do some touch up on them. Does anyone know where I could source some Mole Richardson high temp red and some Arri high temp silver/blue? I know a lot of local houses here in DC will matte black their fixtures partly for the sake of keeping them look tidy but I would love to avoid this. I know this would involve dismantling the fixtures for painting and painters taping over necessary warnings but work has been slow and I need something to keep busy. Thanks! I write this with a very heavy heart. Back in January I sent my beloved Canon 1014 XL-S to Steven Willard of Willard Engineering for a clean/lube/service with an agreed upon price of $200. The camera was shipped insured and delivered on January 30th. Up to that time Steve was lightning fast with all his communications via email and text. But once my camera was in his hands all communication stopped. He would not answer me to verify he had the camera. Not until I left a forceful voice-mail in mid February did he finally return my call and explain the camera was in his hands, but that he had been ill. He promised all was well and he would get to my camera in a week. Okay, I can accept that. Two weeks pass and nothing. I start emailing. I hear nothing. I text and hear nothing. I call and eventually leave a vm explaining I fear he has stolen my camera. The next day he calls and says his wife is ill. Okay, but I have NOTHING via text or email stating he has my camera. He agrees to send me an email stating he has the camera and also explains he will do the job next week. I receive the email on March 12. Since then, silence. Nothing. No response to any methods of communication. This camera is very important to me and it cost me big bucks. I cannot just eat the cost. Has anyone had an experience with Steve Willard? I have only heard good things about the man, which is why I sent the camera to him. But it appears I may have made a terrible mistake. Should I not have this situation settled by the end of the week I will probably have to look into filing charges of mail fraud. That's a felony. I'll also have to go to the BBB. I'd rather not do that to the man if it can be avoided, but fact is HE HAS MY CAMERA and will not fix or simply return it to me. Bolex Blues: Did I snap my spring? The focus adjustment ring on my bolex h16 reflex camera is stuck. I have tried focusing the ground glass with the lenses removed and the camera pointed at a bright light source. The ring will move a little bit and I can see the ground glass blurring and sharpening, but I do not have full movement of the ring. I tried losening the screw on the focus ring and re-tightening it, and it still will not budge. It feels as if it is catching on something, I can hear a little clicking noise when I try to turn it. I am thinking that I may need to take apart the diopter to find out what is jamming it up internally. I can't figure out how to do this- apart from tightening and loosening the screw on the focus ring. If it is possible, I would like to try to repair this by myself. Any suggestions? Canon Autozoom 814 Electronic, focus problem. Just bought a very cheap Canon 814. I needed a 2nd camera I could could compare with my Nizo for film/dev testing. The focus is completely out. I can only focus at 60mm end and then have to turn the focus ring the opposite way. I shot a test using a tape measure to set focus and the image was out of focus so it seems like the lens. Also the VF seems fuzzy and the diopter setting is stuck. A camera repair company just quoted me £189 + VAT to fix and service it. That would be nice but out of proportion to the s/h value of the camera, I suspect. What should I do: Junk it? Can I fix it myself? Is that even possible? Sell/give it away it for spares? Advice , please? Or other suggestions? Thank-you.